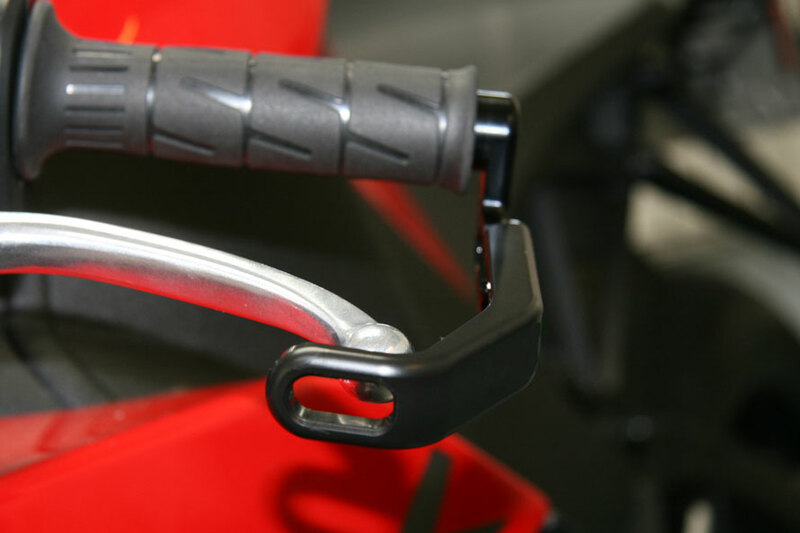 Brake & Clutch Levers. Fold Up and Adjustable. Wild Hair Accessories. Motorcycle Accessories & Aftermarket European Parts. Total adjustment ranges from 0-40mm. 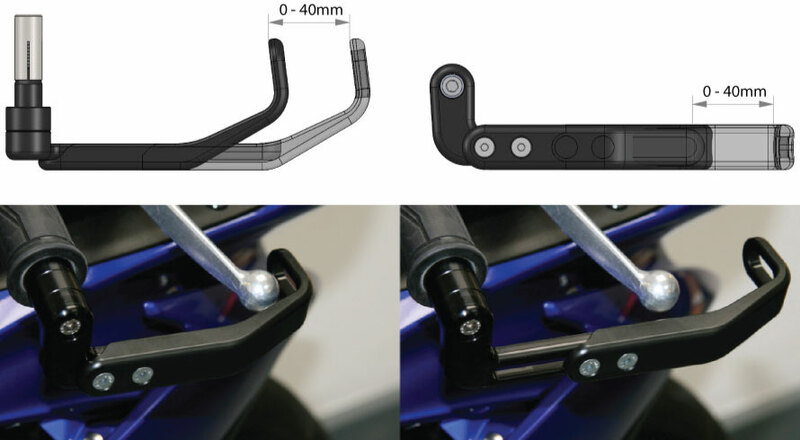 Adjusted using two M5 countersink steel fasteners, this allows the brake / clutch protector to be tailored to each individuals lever setup. 14mm, 16mm, 17mm, 18mm & 19mm collets available. All fasteners are made from steel, far stronger and tougher than stainless steel. Fully bright zinc coated. 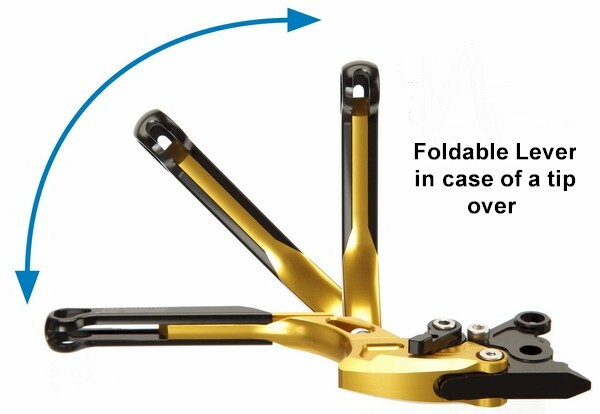 The collet system that is designed to draw the brake protector onto the end of the handlebar. Will fit hollow tube handlebars only. 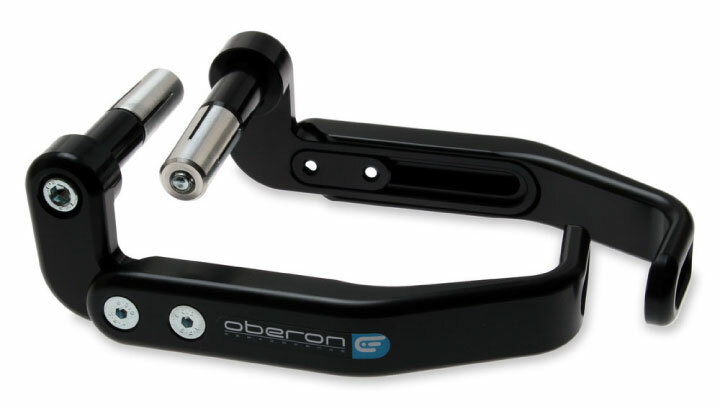 Road bike specific fittings are in development for standard OEM bars. Anodized aluminum components for strength and lightness. Spare parts are readily available.